Camouflaging has always been a part of warfare, but it was only during the two world wars that things got really creative. During the First World War, both sides kept constant watch of the enemy lines for movement, but that was not an easy task. Anyone who stuck his head above the trench parapet for more than a few seconds was shot. So the French started disguising observation posts as trees. Then they taught the British how to do it. Later, the Germans started using them too. Because the front was constantly watched by the enemy, one just couldn’t erect a new tree, because any new tree appearing out of nowhere would have instantly drawn attraction and fire. The fake tree had to replace an existing tree. 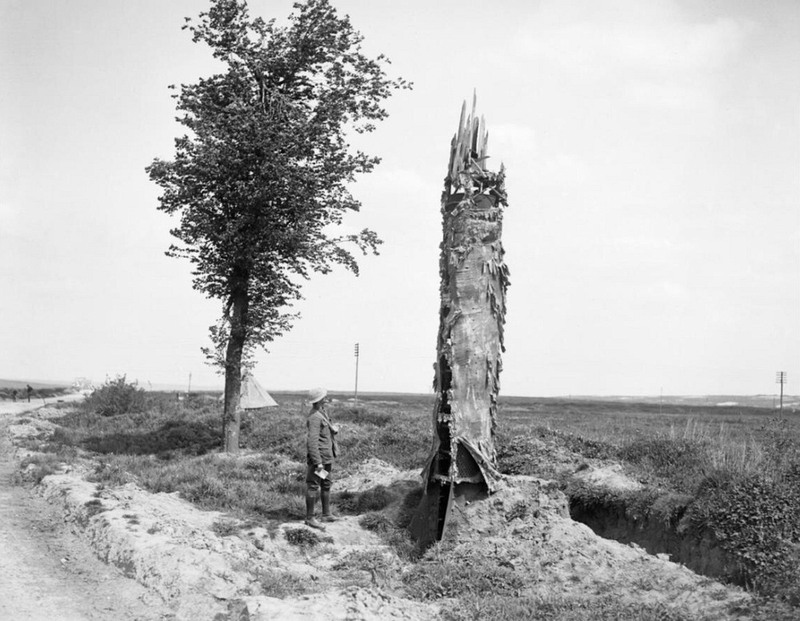 A dead tree, blasted by a bomb, located ideally near the trenches was chosen. 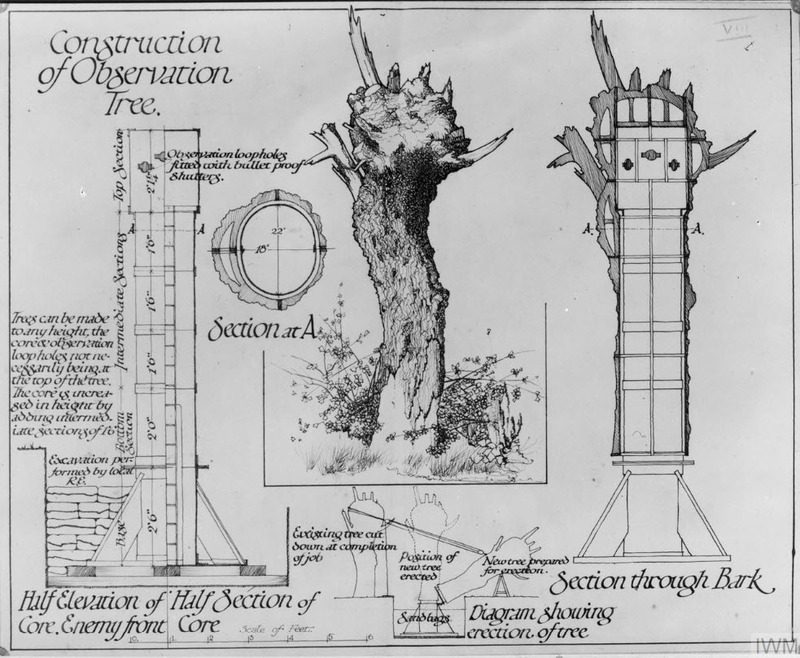 The tree was then photographed and extensively studied, measurements taken and sketches made. A hollow, steel replica was then made in the workshop far behind the lines. 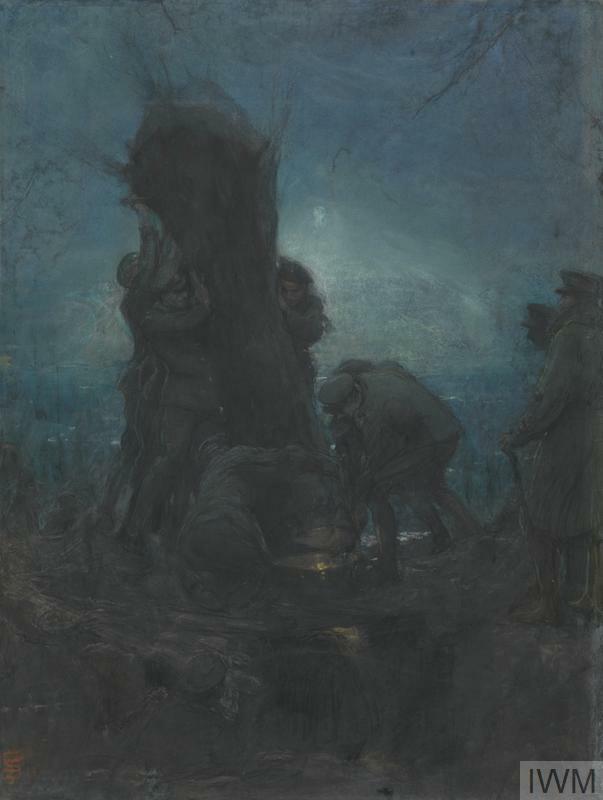 At night, under the cover of darkness and artillery fire, the real tree was felled and the fake one installed in its place. The artillery fire also drowned out the noise of the work. 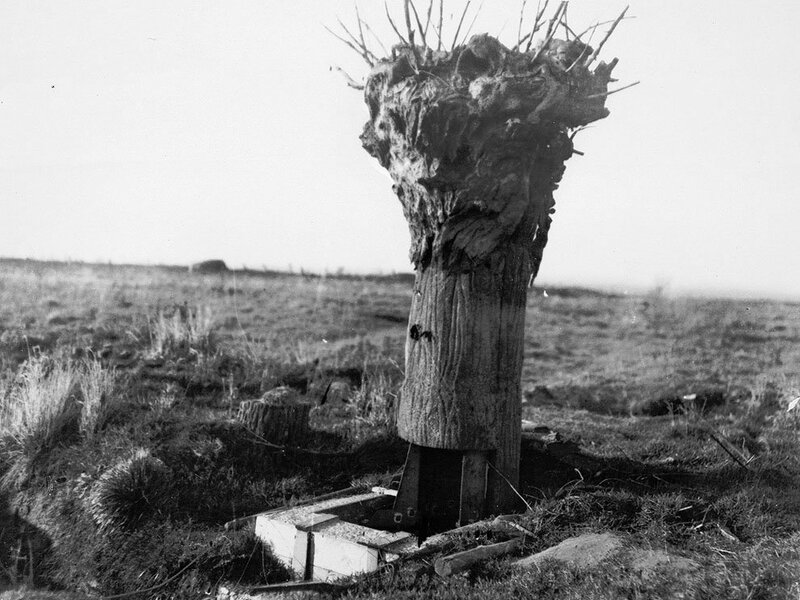 The tree's base was sunk into the ground, and its entrance was concealed. 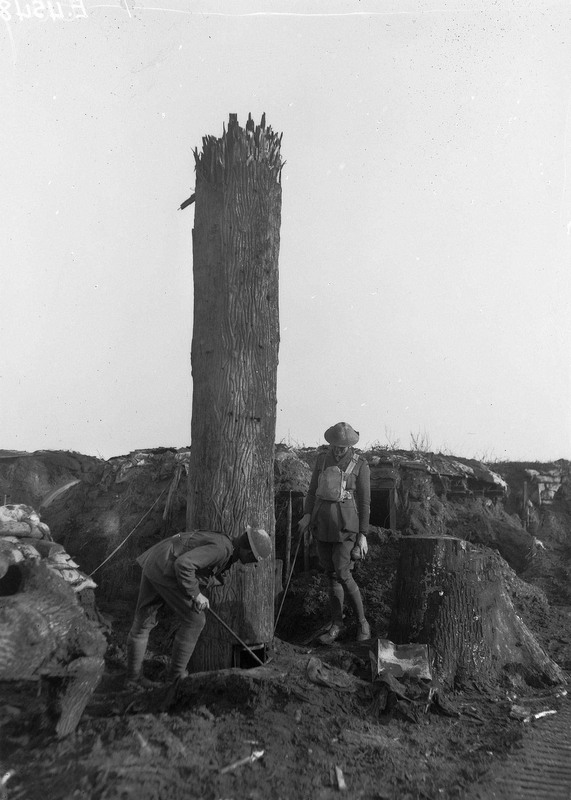 If a trench was spotted leading up to the tree in aerial photographs it would be a giveaway. 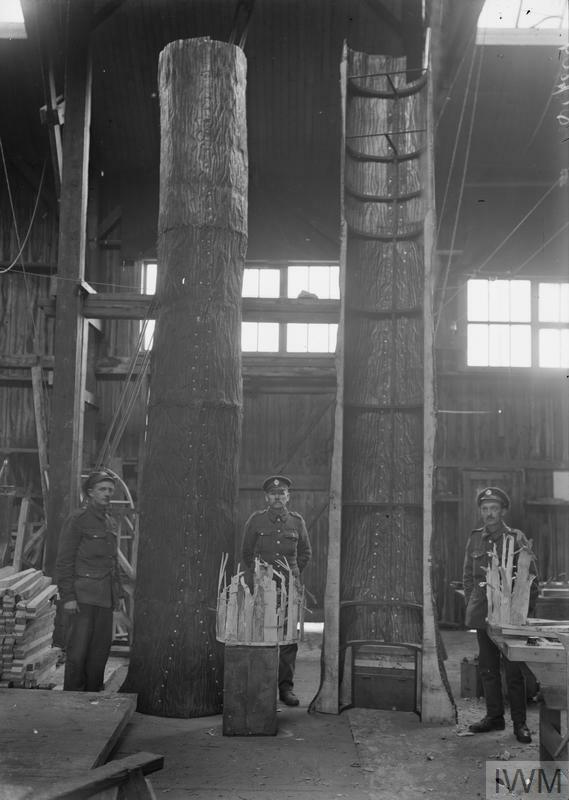 A soldier would enter the observation post from the base and climb up a ladder bolted to the interior of the steel tube. 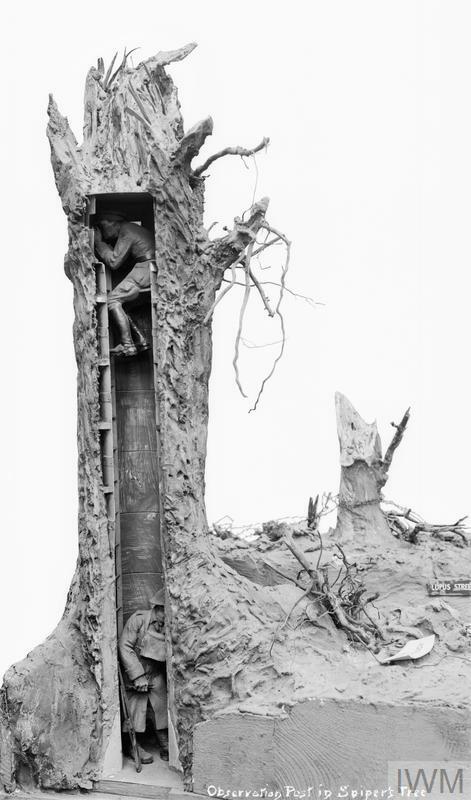 Near the top, perched on a seat, the soldier would keep watch of enemy positions through multiple viewing holes. 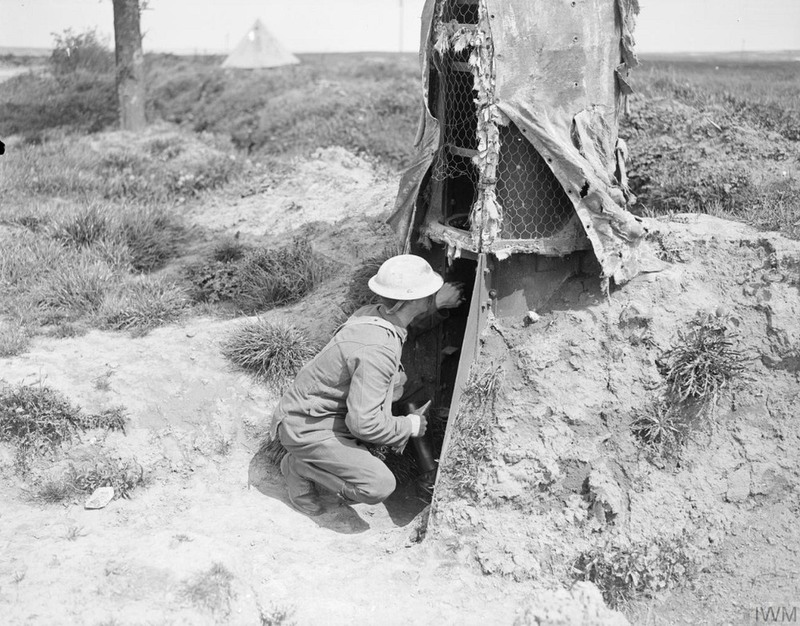 For protection, the soldier used a periscope to view through the holes while remaining behind a solid metal wall. These observation posts were surprisingly successful, and none were detected by the enemy.